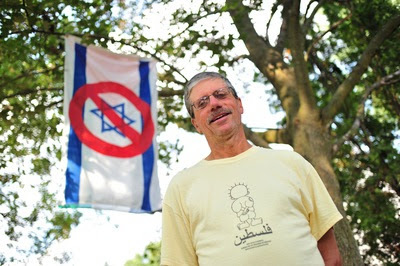 Henry Herskovitz of Witnesses for Peace (formerly Jewish Witnesses for Peace) has been leading vigils outside the Beth Israel Congregation in Ann Arbor, Michigan for many years. In this interview Henry explains how as a Jewish American he gradually became aware of the real situation and history of Occupied Palestine, and felt morally compelled to try to rectify the situation. Today, he says he no longer identifies as Jewish, in part because he feels that a very significant part of the Jewish community has failed to confront its complicity in these and other crimes. Below is Henry’s latest newsletter, which raises issues we discuss and debate in the interview…issues that are actually illegal to discuss, from Henry’s perspective, in many European nations. Dr. Deborah Lipstadt wrote a book titled Denying the Holocaust, The Growing Assault on Truth and Memory, first published in 1993, according to a search on Amazon. (Anecdotally and ironically, it was Deborah Lipstadt who turned this writer into a Holocaust revisionist, i.e. an advocate of Holocaust revisionism). Included in the results of this search is another book, by another author titled: Fail: “Denying the Holocaust”, How Deborah Lipstadt Botched Her Attempt to Demonstrate the Growing Assault on Truth and Memory. The author of this critique is friend and chemist Germar Rudolf, who appears to be taking a leadership role in the Committee for Open Debate on the Holocaust (CODOH), after the passing of Bradley Smith. In his book, Rudolf – in step by step fashion – takes each claim by Lipstadt, and explains to the reader exactly where factual claims end and her ad hominem remarks begin. She accuses Holocaust revisionists of using “pseudo-science”, but after reviewing Germar’s rigorous application of historical methods, “pseudo-science” seems more applicable to traditional holocaust historians than revisionists. Why is Exposing Books like Lipstadt’s Important to Liberating Palestine? We also focus readers’ attention to our Vigil Report of April 23, which explains the four pillars of support which the Jewish state enjoys. And how each of them – save the standard Holocaust narrative – wilts under closer examination. It’s time we focus the same attention to this last remaining pillar; it’s essential to the liberation of Palestine that we get all the right cards on the table: what happened and what didn’t happen. Hollywood’s Weinstein Brothers are about to release yet another emotion-manipulating movie on the history of the Holocaust. “Denial” follows the libel trial against Lipstadt by noted historian David Irving. In an attempt to counter some of the false portions of the narrative, Eric Hunt, also an emerging leader in CODOH, produces a few trailers of his own. Most effective is his short presentation “Denial – The Deborah Lipstadt Movie – Part II”. Click here to view; it contains factual information on the Majdanek concentration camp, countering the Hollywood claims we have become used to. This show is an encore edition from 10-10-2016. This show was broadcast on December 21, 2016. This entry was posted on Tuesday, December 20th, 2016 at 7:38 pm	and is filed under Censorship-Propaganda, Education, Freedom, Human Rights, Justice, Kevin Barrett, Law, News, Occupation, People, Politics, Protest, War Crimes. You can follow any responses to this entry through the RSS 2.0 feed. Thanks Henry for your excellent explanations. You are proof that it matters not where one is coming from, the truth is the truth, and your courage to speak it is a good example for others to follow.